It highlights the presentation of care and environmental actions and rules out the impact on mass tourism in some destinations. One of the highlights of the Seatrade Cruise Global was the roundtable discussion with the presidents and CEOs of Royal Caribbean, Carnival Corporation, MSC Cruises, Norwegian Cruise Line and employer Clia. 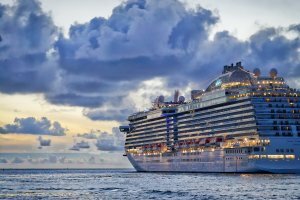 These executives agreed that the cruise industry is living a golden age, both in terms of passenger volumes and in terms of the opening of destinations and technological innovations. Last year there were 28.5 million passengers, a growth of 6.7% over 2017, and at this rate expect to comfortably exceed 30 million passengers, they said. The president of Clia, Kelly Craighead, recalled that in 2018 the cruises had an economic impact of 122,500 million euros, a volume that will continue to grow thanks to the arrival of new ships: more than 400 ships will be added a hundred more in the next decade. Among the most positive aspects that highlighted the executives is the diversity of destinations and experiences. For example, Richard Fein (president of Royal Caribbean) said “his company has 800 different destinations for their cruises, because, ultimately, “it is about the protagonist is the people,” he said. For Carnival’s president, Arnold Donald, the experience of the passengers has improved thanks to the use of new technologies, which allows to personalize the trips and their stays on board. Last year, the company launched the Ocean Medallion, a device that makes it possible to speed up payments on board, order drinks and even know a person’s location. For Donald, these technologies also help “reduce fuel consumption” and advance the protection of the marine environment. The executives stated that the industry “is doing an incredible job” in this field, especially “taking care of a clean marine environment,” Pierfrancesco Vago (president of MSC) agreed with Fein. Thanks to the incorporation of new propulsion fuels such as liquefied natural gas and biogas, the cruise industry expects a 40% reduction in greenhouse gas emissions by 2030, said Craighead. “No one wants to sail in polluted seas, no one wants to go to a place where the air can’t breathe,” said Donald, who said his company reduced fuel consumption by 33% in the last decade. The Carnival executive’s comments were related to a study by the environmental NGO Stand.earth, which assured that the air quality of its boats was worse than in cities like Santiago or Beijing, a report rejected by the company and the employer Clia.